The HCP-850 has an 80Plus Platinum certification, so we were not surprised by the outstanding efficiency figures. 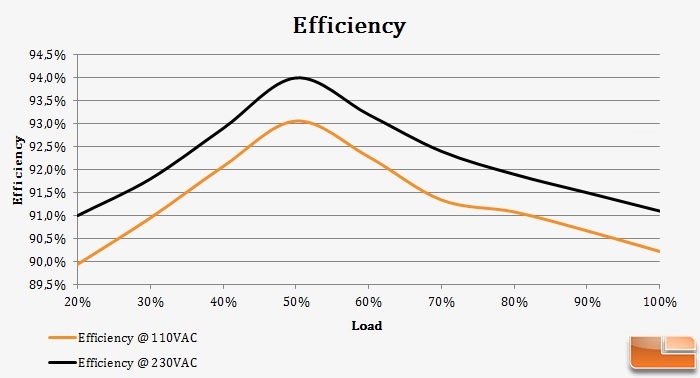 When powered by a 230V AC outlet, the efficiency of the HCP-850 reaches up to 94.1% under 50% load, while it stays above 91% across the entire load range. It would be noteworthy to mention that the vast majority of 80Plus Bronze and Silver certified power supplies will not even reach the minimum efficiency of the HCP-850 at all. Due to its extremely high efficiency, the HCP-850 Platinum wastes very little energy as heat. 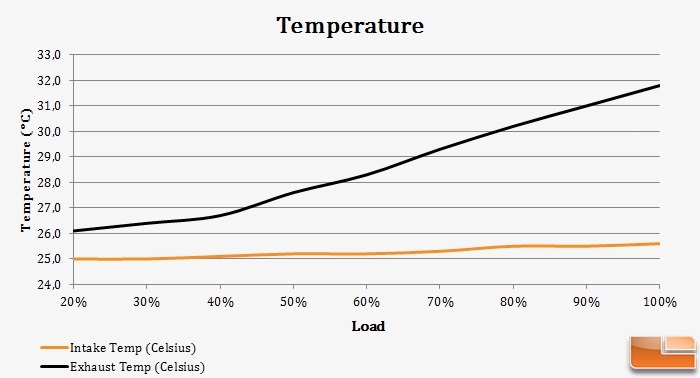 Despite the high power output of the unit, the HCP-850 barely warms up the air when lightly loaded and the largest temperature delta is just 6.2 °C at maximum load. Antec appears to have programmed a very aggressive thermal control pattern. Even if the efficiency of the HCP-850 is outstanding, the power supply will strive to maintain very low operating temperatures. 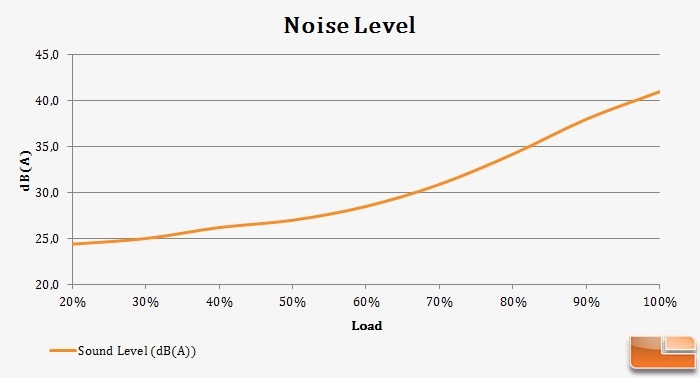 As such, the HCP-850 is entirely silent when moderately loaded but the speed of the fan will increase sharply if the load exceeds 70% of the unit’s capacity, turning the HCP-850 loud if heavily loaded for prolonged periods of time.